Uplift is a movement of young people on the Colorado Plateau who are actively working for climate justice in the Southwest. Uplift 2018, a conference unlike many others, helped to facilitate the regional climate justice movement. Set up on Cedro Peak Campground near Albuquerque, New Mexico, the climate justice conference included plenty of spaces for connection with the land, other conference-goers, and oneself. Among the many tents staked by the attendees of Uplift, there was an art space, a healing space and a “radical library” that Uplifters could visit in between the various workshops and panels taking place from Sept. 14 through 16. Eva Malis, Uplift Coordinator, explained that climate justice is a movement that centers the social impacts of climate change, such as the ways in which climate change impacts people and especially those who are historically and presently marginalized by society. Extractive economy refers to our current economic system, which exists by taking resources from the land and the people without regenerating where those resources are coming from. It could be uranium, coal, helium, oil, gas, or even labor. One of those activists already resisting climate injustice is Mikayla Johnson, a 14-year-old Diné girl who grew up talking about extractive industries and their effect on her community at Black Mesa with her parents and their organization, Tó Nizhóní Ání, which translates to Sacred Water Speaks. She’s trying to figure out the connection between social and environmental justice and how she can make a difference working with both in conjunction. “They’re interconnected because it’s a domino. After one falls, another goes, and it goes all the way in a long line,” the young activist said. Johnson revealed that her fears related to bringing environmental and social justice to the world are ever-growing, but she still has hope for a just and peaceful future. “If more people like me can start knowing about this and doing something about this then I think us youth can make a difference,” she said. A common theme of the conference was that the youth are the ones who will really make a difference for climate justice, but they can only do it by joining their power amongst each other and other community members. 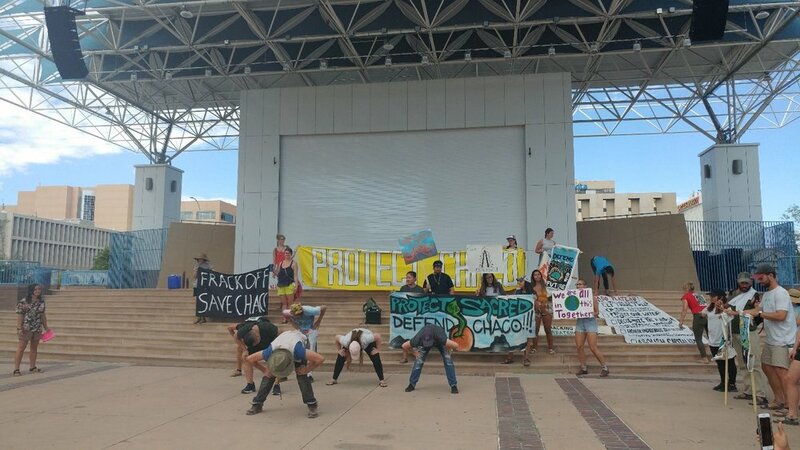 On the topic of a just transition from an extractive economy to a more sustainable way of life, Benally posed the question of whether communities on the Colorado Plateau and even nationwide should switch from non-renewable sources of energy to supposedly “green” solutions. “Does that change the power relationships of exploitation, of the land and the people? I think we need to think beyond that,” Benally said. Benally views all sources of oppression, including extractive industries with an interesting lens. “I’m an abolitionist. Looking historically at slavery, I wouldn’t want a more just transition from bad slavery to a lighter, better, reformed version of it. I want a clean break, because we shouldn’t have slavery to begin with,” he said. Uplift organizers and speakers wanted attendees to think more critically about where our energy comes from, whether in the form of food, fuel for our cars, and electricity for our homes. Whose homes and lives are affected most and perhaps are invisible in regard to the effects extractive industries have on them? Uranium exposure in particular has been known to cause major health problems in Navajo communities. In addition to the health effects, forced relocation is another effect of extractive industries on native peoples’ land. 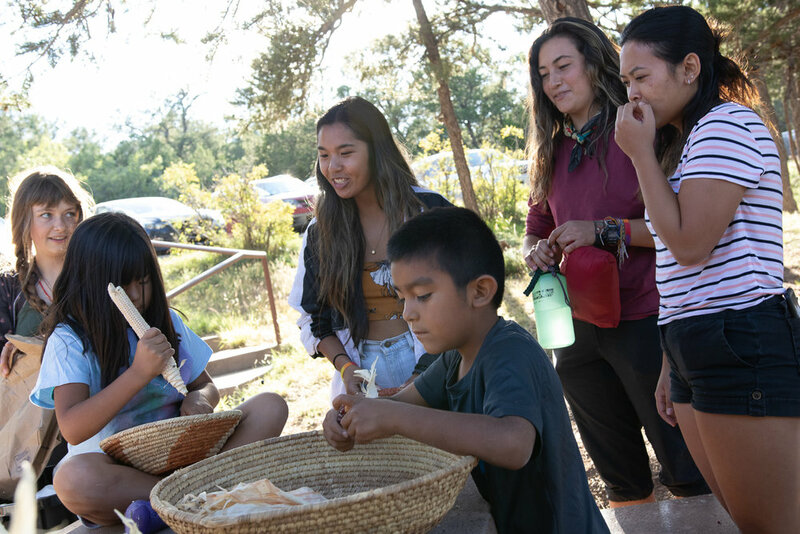 Also, many of the indigenous speakers at Uplift mentioned how although numerous American resources come from their land, they rarely gain the benefits of the industries, and many of them live without electricity and running water. Nicole Horseherder, an indigenous activist with Tó Nizhóní Ání described her experience living on Black Mesa, located Northeast of Flagstaff. Peabody Energy is a great concern to indigenous people on Black Mesa and their allies. Peabody Energy began mining operations at the Kayenta mine in 1973 . On its website, Peabody Energy advertises that it functions by having lease agreements with the Navajo Nation and Hopi Tribe, and 99 percent of the work force at the Kayenta mine is indigenous and that their pay makes their per capita income 10 times higher than they would receive otherwise on Navajo Nation. Additionally, they write that they reclaim mined lands in a way that preserves cultural ways. The people who live near Peabody’s operations have a different perspective. Those cities include Los Angeles and Phoenix. While people on Black Mesa seemingly don’t benefit much from the energy their coal produces, they are often the first to feel the impacts of climate change. Even at the age of 14, Johnson can remember a time when water wasn’t nearly so scarce.